100% Raw, unfiltered local honey. 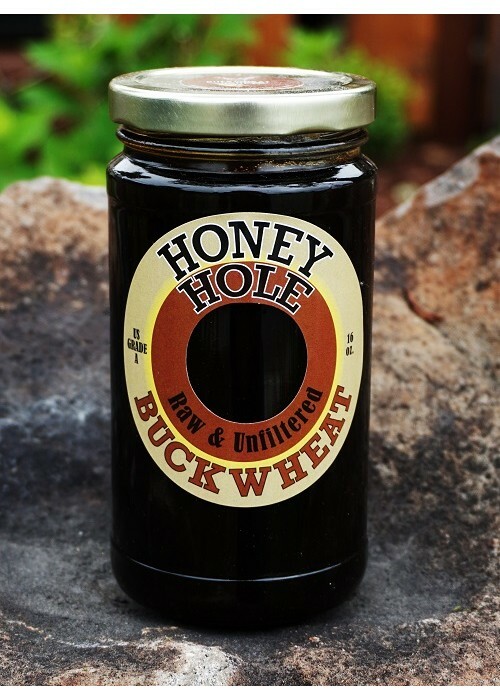 Buckwheat honey is very rich containing one of the highest quantities of antioxidants compared to other varieties. Its dark molasses color has a robust flavor profile with a strong, full-bodied taste. Add it to your tea, baking recipes, smoothies or take in place of cough syrup to soothe a sore throat.